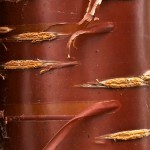 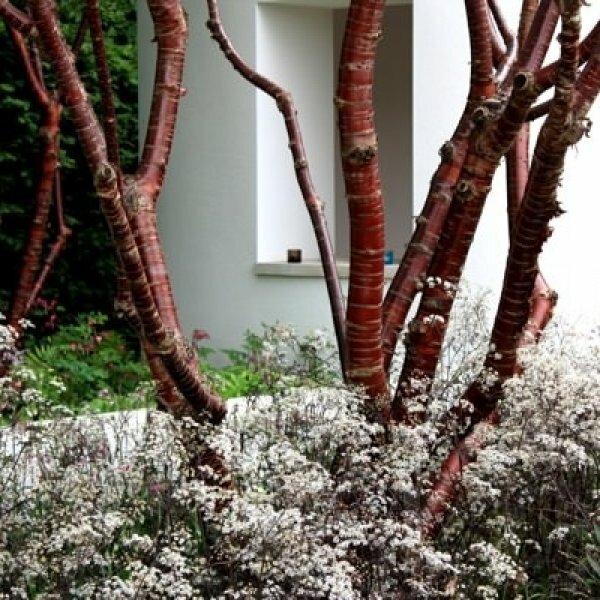 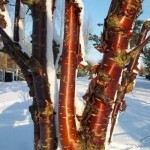 This subtle beauty is Prunus serrula 'Tibetica' or Birch bark cherry or Paperbark cherry and it has perhaps the most stunning bark of any tree. 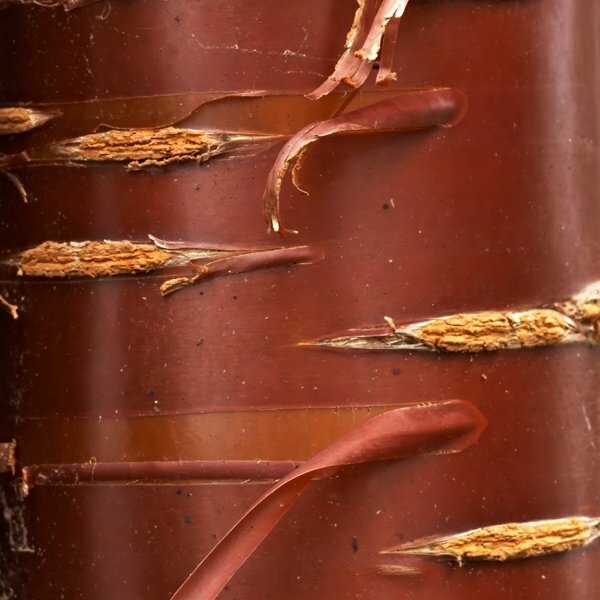 This bark is a glistening, polished mahogany which peels away in bands and possesses a shiny brilliance throughout the year, but is particularly appreciated in winter. 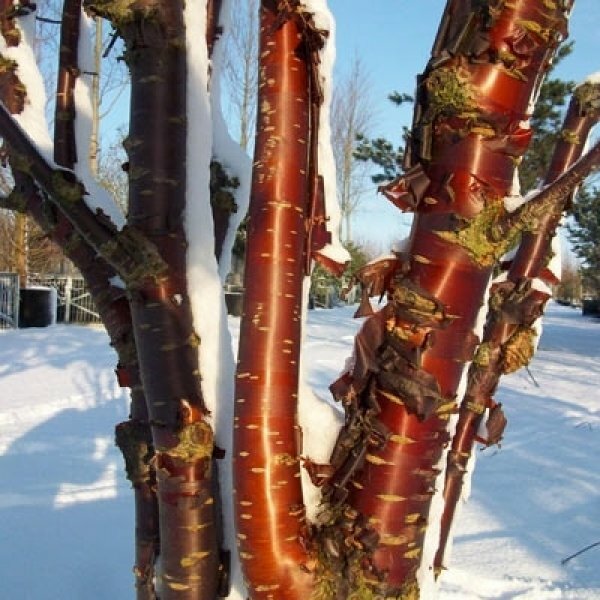 If the Birch bark cherry had nothing else to recommend it, the bark alone would be enough reason to find room for this lovely cherry. 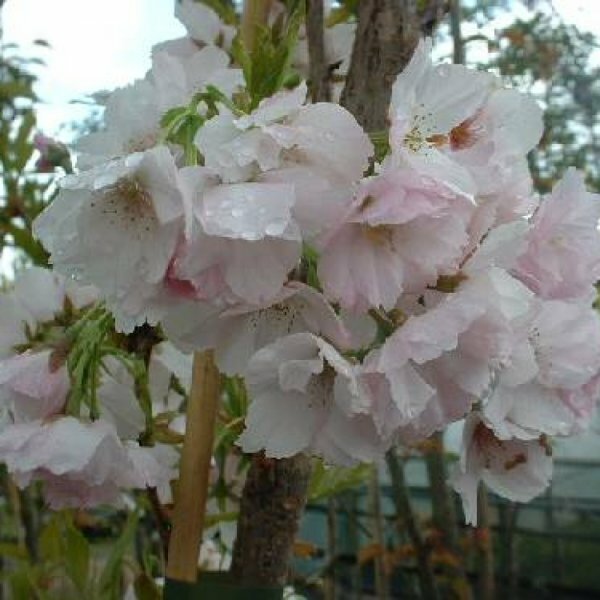 But in spring it bears small, white flowers followed by pretty red cherries in fall. 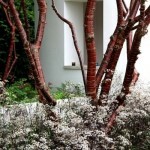 And the willow-like leaves in spring are attractive all summer long and usually color a bright autumn yellow.